Gum disease is a progressive oral health issue that can develop and worsen over time, often without you realizing it’s happening. Bacterial growth naturally occurs in everyone’s mouth but, when not tended to or treated, can spread or worsen and destroy gum tissue, which surrounds and supports each tooth. Inflammation of the gums is called gingivitis where bacteria in plaque builds up and causes irritation. Gums easily bleed while brushing but teeth are still firmly supported by gum tissue. Gingivitis can advance to become periodontitis, where the gums begin to pull away from the teeth. This advanced gum disease causes spaces and pockets to form, which can hold debris and become further infected. As periodontitis advances, the teeth become no longer anchored in the jaw and may fall out. Plaque is the main culprit to all gum disease. But other factors, like hormone changes, smoking, and family history can also play a part. Some illnesses, such as diabetes or cancer, can impair the immune system and increase the risk of gum decay and infection. How Can Advanced Gum Decay and Disease be Prevented? Proper control of plaque will help stop gingivitis and halt the progression of gum disease. Luckily, several simple steps can keep your oral health in its best shape, avoid the presence of plaque, and lower the risk of gum disease. Learn how to brush and floss your teeth properly! This includes angling the toothbrush toward the gum line and brushing for two, full minutes twice each day. Brushing after you eat is another way to keep plaque from building up. Flossing removes debris that brushing misses and provides extra care to ensure gums are as healthy as possible. Use an antibacterial toothpaste and non alcoholic mouth rinse for brushing and after flossing. Antibacterial formulas are created to kill bacteria that remains after daily oral health care. These products help to lower the amount of plaque in the mouth, which lessens the risk of gum decay. Visit your dentist regularly for a checkup and professional cleaning. While most patients should plan on cleanings and checkups twice each year, ask your dentist if you should come in more frequently. 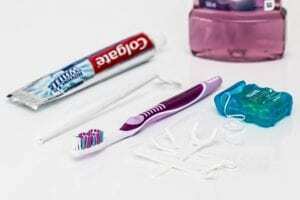 Patients who are more susceptible to gum disease benefit from dental visits more often. If you are a smoker, please consider quitting. Smoking presents several dangers to your health, including decreased blood circulation that is needed for a healthy mouth and gums. Smoking has also been found to be a big risk factor for the onset of periodontal gum disease. Sugars accelerate plaque buildup, tooth decay, and gum disease. Increased intake of sugar, from sodas and processed foods, interacts with the existing bacteria in the mouth and on the teeth to accelerate the production of acid, which causes decay. A diet of balanced nutrition, with less sugary drinks and snacks, helps to keep gum tissue healthy and ward off disease. Are you concerned about bleeding, swollen or red gums and the possibility of gum disease? Call us to make an appointment for a checkup or cleaning. 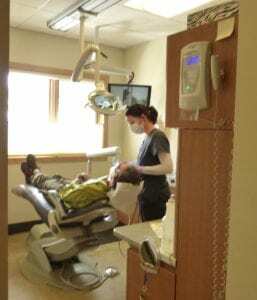 We are Boulder’s most trusted individual and family dentist providing professional care and services, helping patients realize improved oral health.